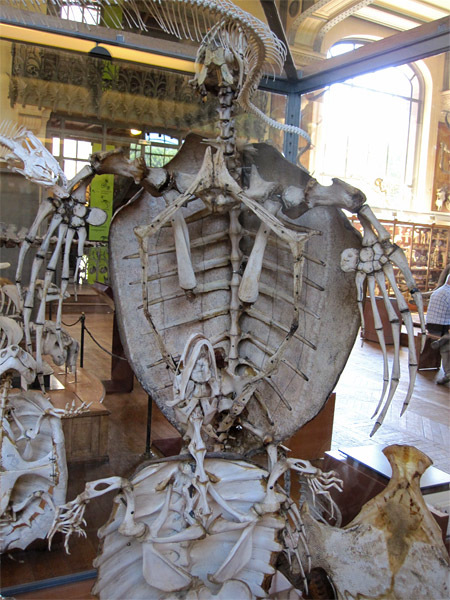 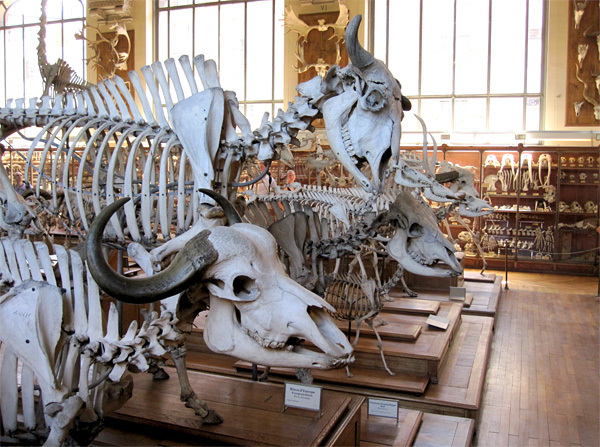 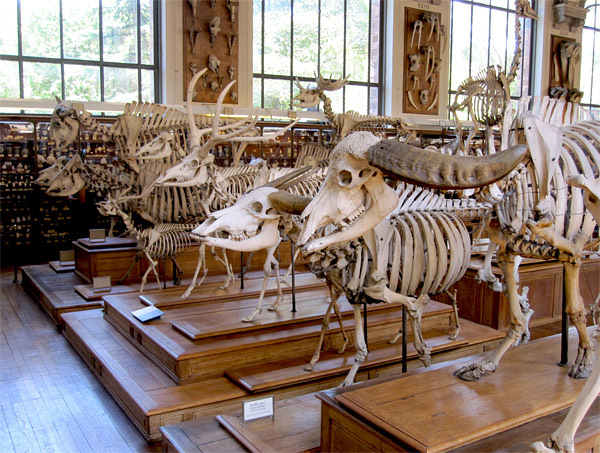 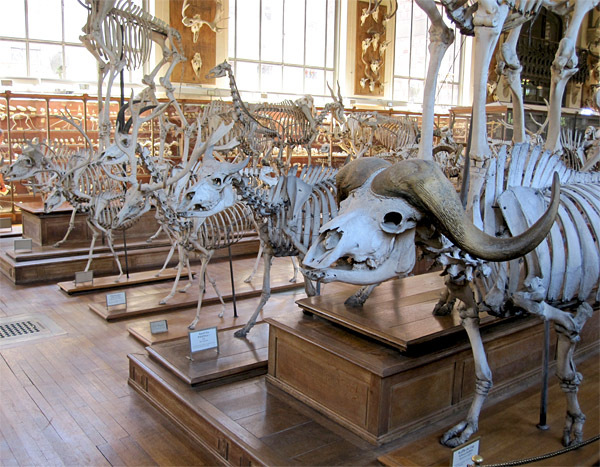 I have been struck by the volume of ongoing interest in my post a few months back about the comparative anatomy exhibits at the Galerie de paléontologie et d’anatomie comparée in Paris. 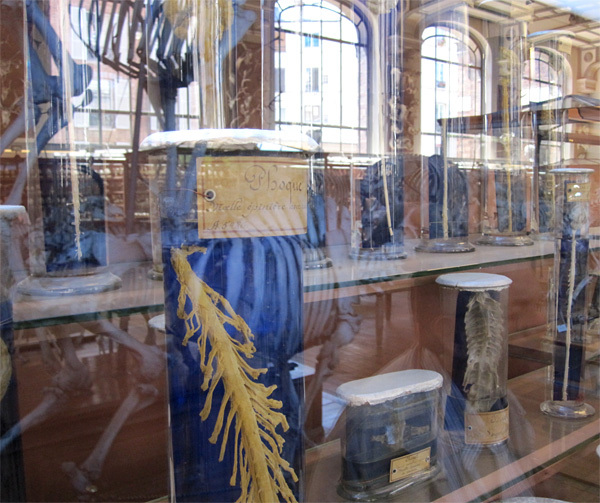 This museum does have an overwhelming quantity of superb material on exhibit, and looking back through my photos I realized that there are many good ones that I had not posted. 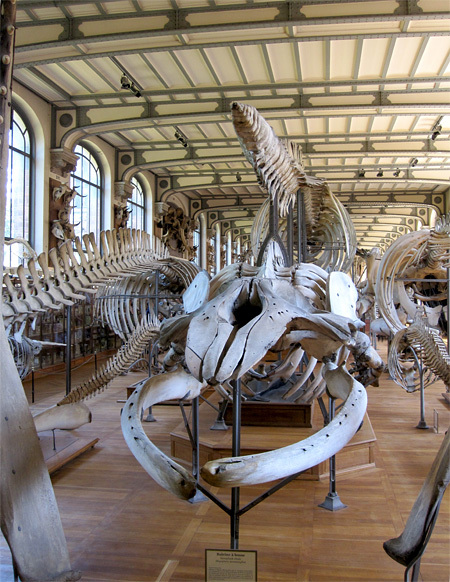 The skeleton of a humpback sits behind and below some of the other whales. 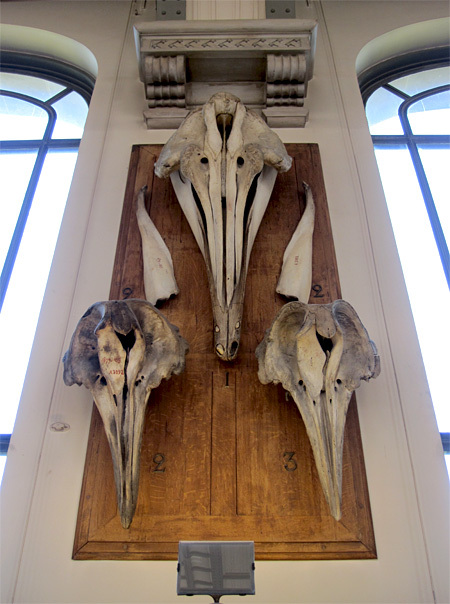 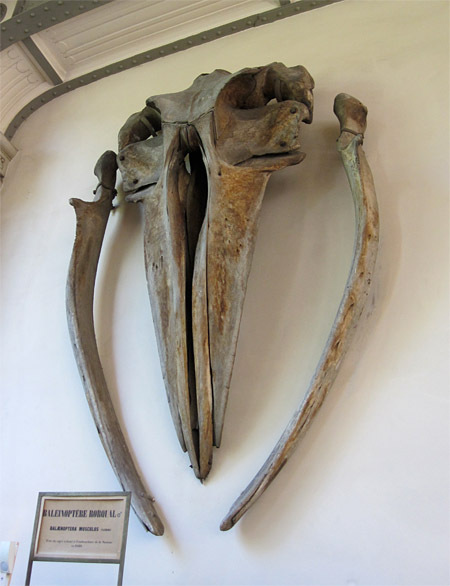 The massive skull of a rorqual (Balaenoptera) is mounted like a work of art. 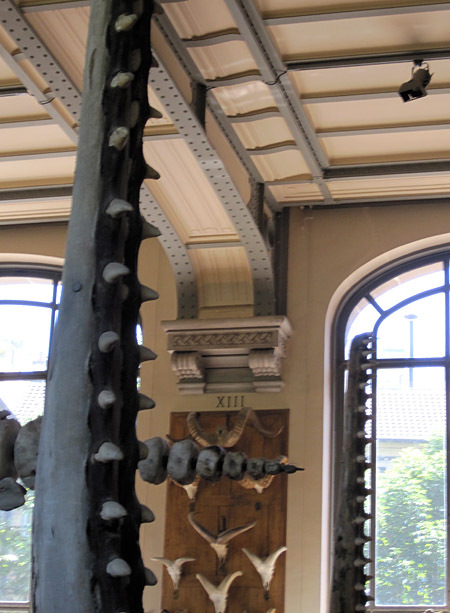 The jaws of sperm whales make unusual architectural features. 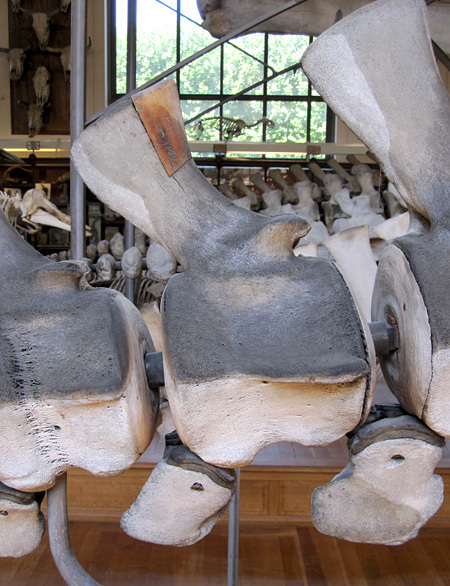 This whale vertebra was cleverly patched by some long-past preparator. 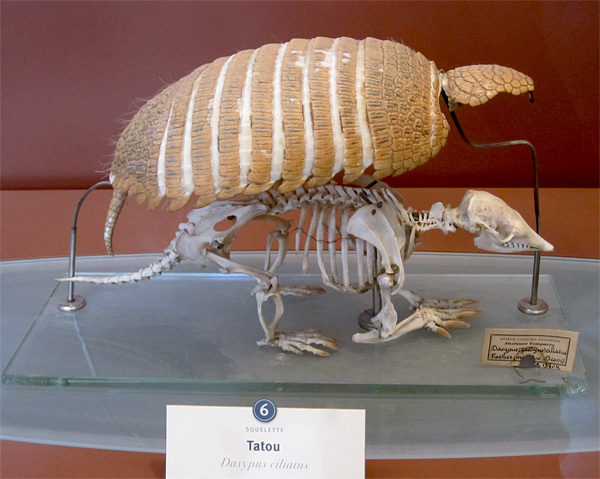 This armadillo (Dasypus) is mounted to show the relationship between its skeleton and armoured "shell." 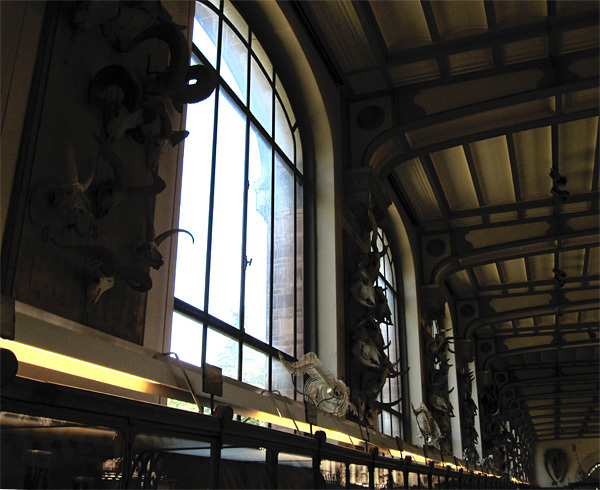 Even the windows are used as exhibit space! 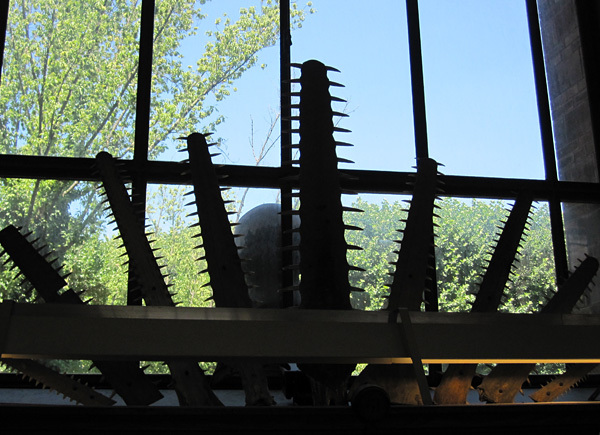 These are the rostra ("saws") of sawfish. 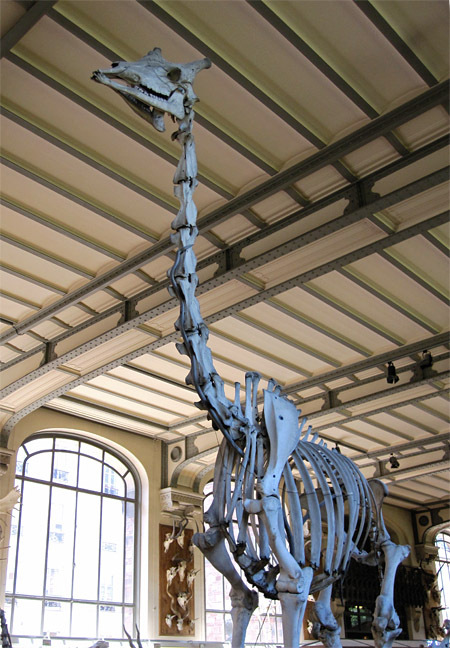 ... and the tallest ungulate. 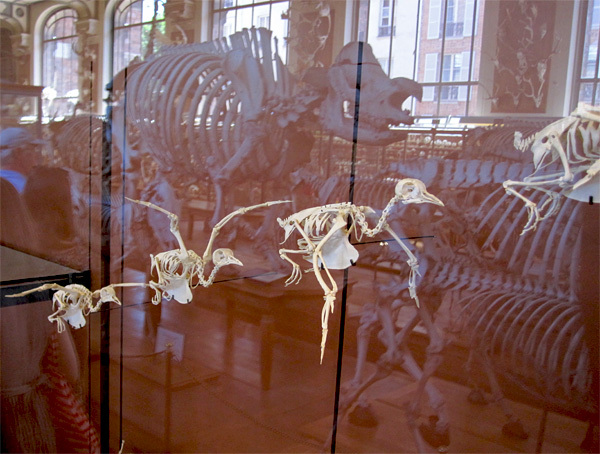 These pigeons are mounted to show the progression of movement in flight.